On October 1, the liability for credit card fraud shifts from card issuers to retailers that haven’t transitioned to accept cards that use new EMV technology. Some groups will be more ready than others. We're just a couple months shy of the big EMV liability shift. That’s when companies that don't accept chip-enabled debit and credit cards take on financial responsibility for hacks and fraud. But who's ready? Who's not? And who will come out ahead when that October 1 deadline rolls around? "We operate a very large, diversified, complex payments ecosystem in the U.S.," says Randy Vanderhoof, director of the EMV Migration Forum. "We have thousands of issuers of payment cards. We have millions of merchant retailers and tens of millions of point of sale devices that all need to be upgraded and changed to support EMV." The reactions that banks, retailers and consumers have will be just as varied and wide. But here's who, right now, looks to be coming out ahead, and who could be left behind. Those who are already in position and ready will be the ones in the winner's circle. That goes for both financial institutions and merchants. On the banking side, the big banks – which issue most of the credit cards in the United States – are "on the leading edge of adoption," Vanderhoof says. For big box retailers, it's the same. Small mom and pop stores are in a good position to make the change too, Vanderhoof adds. That's because replacing their point of sale terminal is relatively easy. "Many smaller merchants who either rent or lease their payment terminals have a much easier path to EMV by simply calling up their bank or their processor and ordering a replacement terminal. They can be up and running in a week's time," Vanderhoof says. Even bigger winners – if that term applies in this situation – will be those who made the choice to adopt EMV and then got hit with fraud. Those companies simply "do not have to pay for it, because they purchased the appropriate equipment," says Barrie VanBrackle, co-chair of Manatt, Phelps & Phillips' global payments and consumer financial services practice group. Card brands can also be winners, says Bob Legters, senior vice president of payment products for FIS, because issuing new cards has created an opportunity for them to rebrand. "We told [our clients] this is a great time to update my logo, change my card art, change my colors," he says. "I don't think there's a loser since it forced everybody to take some time and focus on this part of the program." Legters expects retailers to be winners further down the line, too, when they start using the technology capabilities available on a chip. "Everybody's sticking their toe in the water," he says. "Mass enablement will give us huge information base." Mid-tier retailers, and those businesses in hospitality and restaurant fields, may have a harder time making the change. Those are industries "where they have a history of using third-party integrated point of sale systems that are more complicated to upgrade to EMV, and require more investment," Vanderhoof says. "Those types of businesses don't typically have the same level of expertise and internal resources available." Vanderhoof points to owners of small, privately owned ATMs as being potential losers, too. Those "operators are going to have a tougher time meeting the fraud liability shift date because some of those ATM devices were not designed to be upgraded to EMV.” And the ATMs that can be upgraded “come with a fairly significant cost," according to Vanderhoof. Hackers are also potential losers. The move to EMV should cut down on fraud associated with card-present transactions, and while most experts expect fraud to shift to online transactions, that could also force e-retailers to buff up their security there, too. The added security and peace of mind automatically makes consumers winners, too. 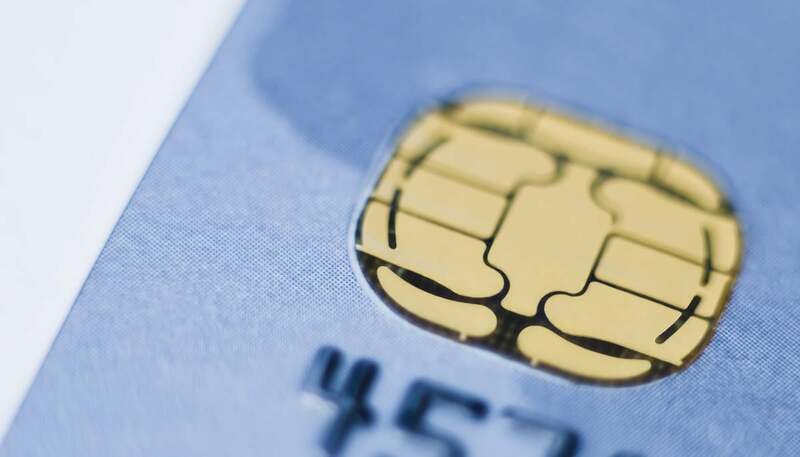 But how it will all go over with the shopping rank-and-file depends on the speed at which EMV is adopted (and how long lines at retailers could stretch as consumers figure out how to pay), and whether or not the costs for new materials – or savings from reduced fraud – are passed onto them. VanBrackle points out that when debit card transaction fees were capped in 2011, in most cases the savings weren't passed onto consumers. The transition to EMV should be quick, but confusing for a short period of time, says Vanderhoof. "For a time, consumers are probably going to be confused as to how they actually pay at the retail store, but this will be short-lived, and we will get through this transition pretty quickly."